My holiday decorations are not complete without orchids. This year I bought my orchids from Bird’s Botanical, a family owned business located in the caves at I-435 & 23rd Street, in Independence, Mo. Only open for business on Tuesdays, it is an adventure just to be there. The orchids run the gamut of colors, shapes and sizes. I thought it would be fun to photograph this particularly interesting bloom. Relying on my D 5100 Nikon and my Tamron zoom lens, I took a number of shots using flash, long exposures, short exposures, and “Auto”, as well as taking photographs from a variety of different angles. In picking from all of the photographs, I eliminated some because they were blurred, over exposed, under exposed, or just bad. I finally decided to show you three. They seemed to me to make the cold winter day a little less dreary. May your new year be as lovely as this flower. 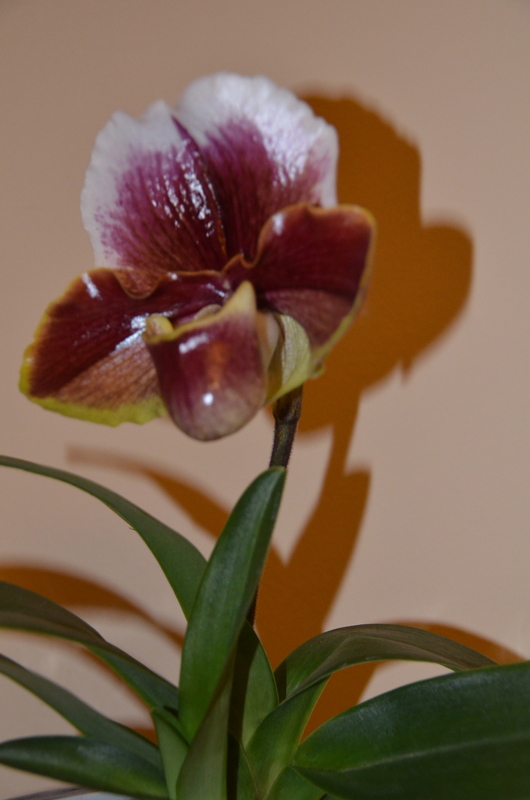 This entry was posted in Photography and tagged Bird's Botanical, D5100 Nikon, Nature, Nikon, Orchids, Tamron Zoom. Bookmark the permalink.